Kenneth Rossetti says his boss was constantly on his case about the time off that he took to care for his children and father-in-law. When Rossetti took days off from his job as assistant city solicitor for the City of Lowell to tend to family matters, his supervisor dismissed his duties as “only babysitting,” according to a lawsuit Rossetti filed against her. Another time, when Rossetti told her he had a family obligation, she noted that he had a wife, insinuating that she should be the one taking care of the matter. A little more than a week after his supervisor told him that he had “an inordinate number of family obligations,” according to the complaint, Rossetti was fired, with no explanation. The case, filed over the summer in US District Court in Boston, is part of a wave of lawsuits by fathers around the country in recent years alleging unequal treatment in the workplace. The wave of sexual harassment allegations in recent months has shed a light on the many inequities faced by women in the workplace, but often overlooked is the discrimination men deal with at work, especially those who take an active role in parenting. Earlier this year, J.P. Morgan and Estee Lauder were both sued by male employees over the companies’ paid parental-leave policies, which give more time off to mothers than to fathers. According to a 2016 report by the Center for WorkLife Law at the University of California, the number of paternity leave cases, while still relatively small, increased 336 percent over the past decade, compared to the decade before. Men also filed more than a quarter of all the discrimination cases related to child care over the past decade. And as fathers take on more child-care duties, this number is expected to rise. More than 40 percent of mothers are their family’s sole or primary breadwinners, according to the Department of Labor; from 1965 to 2011 fathers nearly tripled the time they spent with their children, according to the Pew Research Center. This may be good news for families, but employers have not kept up with the changing roles of fathers, said Jennifer Berdahl, a professor at the University of British Columbia’s business school who has studied mistreatment of workers based on gender. Male employees are often expected to behave like the men in their fathers’ generation, and not ask for the time or flexibility to care for their children. 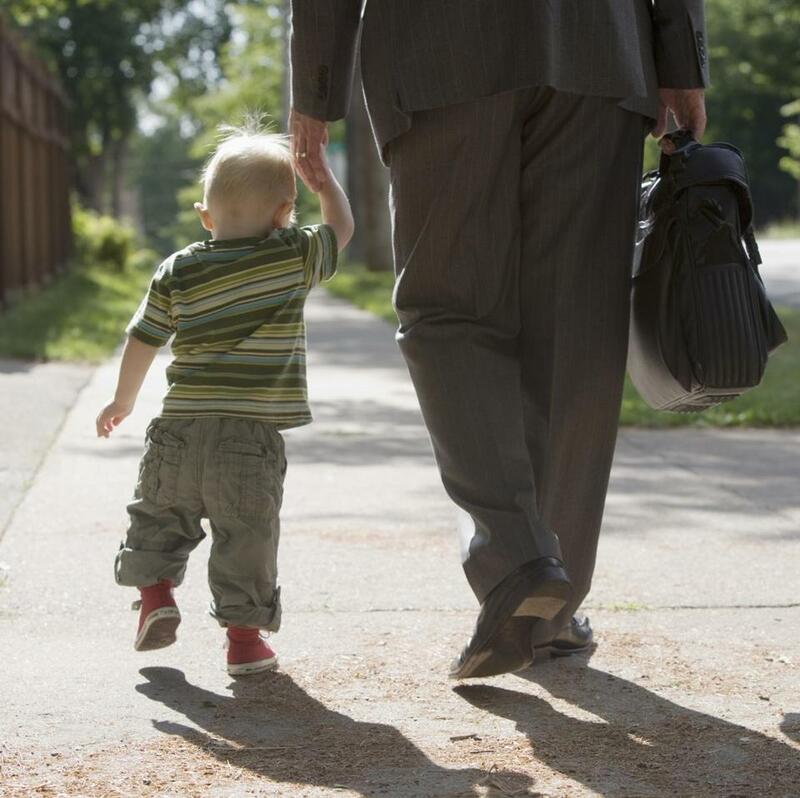 In a 2013 study, Berdahl found that fathers who are active caregivers suffered more of what she calls “not man enough” harassment at work — being told they aren’t tough enough or committed enough — than any other group of employees, male or female, with or without children. In a related study, engaged male caregivers were found to be mistreated — excluded, insulted, pressured — more than any other male employees. Mothers, on the other hand, were treated better than women without children. This means that men who violate traditional gender roles by participating in childcare don’t get the often-touted “fatherhood benefit” — being seen as more committed to their job because they have more mouths to feed — that those who conform to more stereotypical roles do. To be sure, though, men still have benefits that women don’t at work, including higher pay and more senior leadership positions in many settings. The Lowell lawsuit, which charges the City of Lowell and the city solicitor, Christine O’Connor, with discrimination and wrongful termination, notes that female co-workers who had similar family responsibilities were not treated as poorly as Rossetti was. The suit also notes Rossetti’s history of stellar performance evaluations. “We filed this complaint because he had concerns over whether his discharge was motivated by the improper stereotypes that often plague men in the workplace,” said Al Gordon O’Connell, Rossetti’s lawyer. Rossetti, 52, of Reading, who is seeking back pay, damages, and the potential reinstatement of his job, declined to discuss the allegations. O’Connor did not respond to a request for comment. Gordon O’Connell noted that when he’s out with his 5-year-old son, he himself has experienced the stereotypes that male caregivers are often subject to — a phenomenon he’s coined the “dumb old dad” syndrome. This is not entirely the fault of employers. Men tend to define themselves through work and can fall into what Berdahl calls “My hours are longer than yours” masculinity contests. Recent research from Erin Reid at Boston University found that some men try to “pass” as ideal workers by keeping time spent with their families under the radar — say, taking a work call at a child’s soccer game but not revealing where they are. Men also sometimes get teased by male co-workers for being an involved parent, making it less socially acceptable for them to take time off to care for their children, said Jamie Ladge, a management and organizational development professor at Northeastern University. “We always say women are their own worst enemies, but I think men are their own worst enemies, as well,” said Ladge, whose upcoming book discusses the unequal treatment active male caregivers face.